Our Innovation Makes Us First, Our Quality Makes Us to Last. 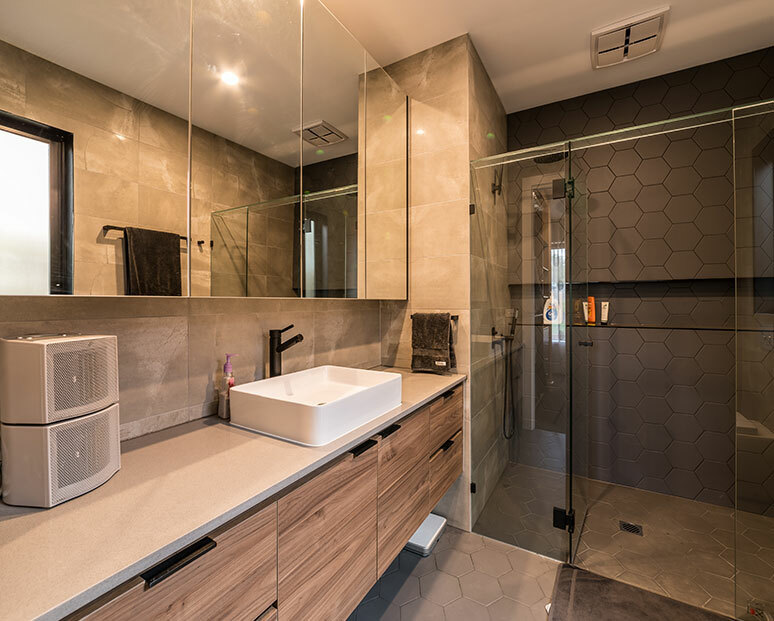 Are you looking for contemporary vanities in your bathroom? Let us know how we can help below! 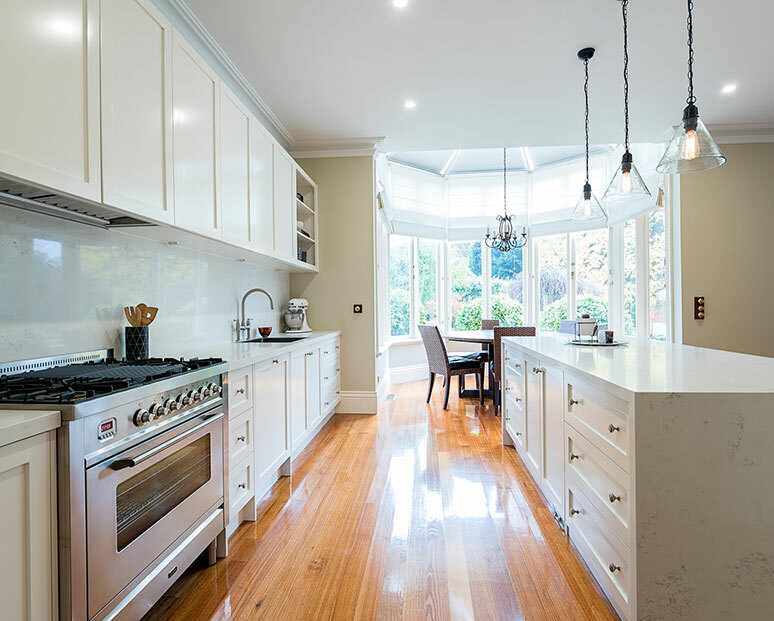 Considering a kitchen renovation in Tullamarine? If you want experience matched with a keen insight into modern trends, you can’t go past Kitchen Classics. 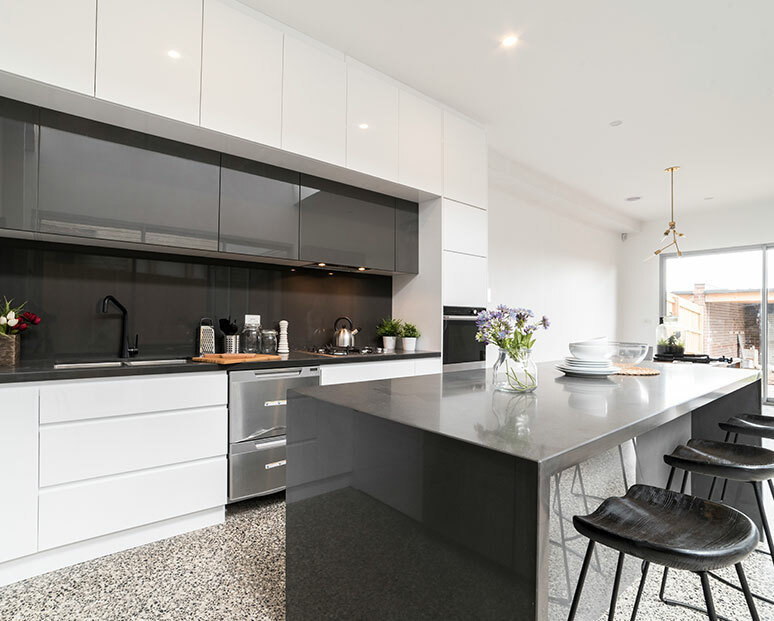 We have a wealth of experience in our team, committed to making your next kitchen renovation one that will realise the functionality of your kitchen space, while looking great! 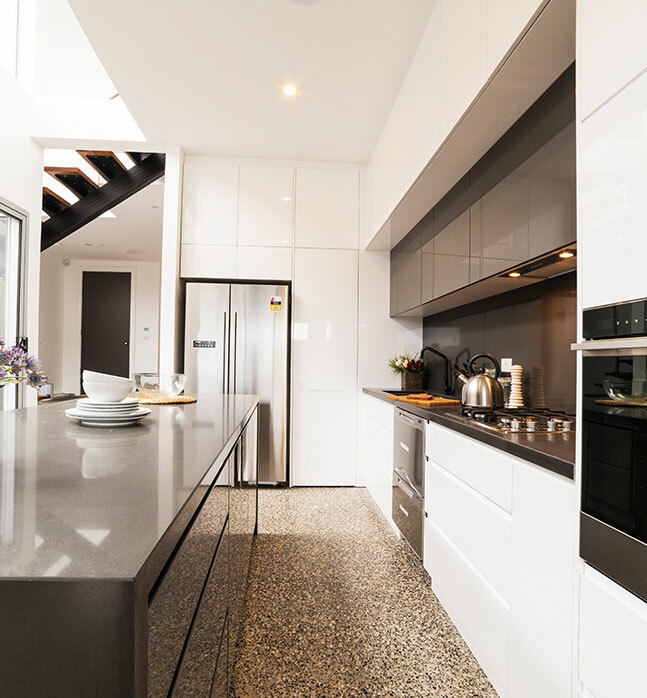 Contemporary kitchen designs represent the best of engineering functionality and minimalist beauty. 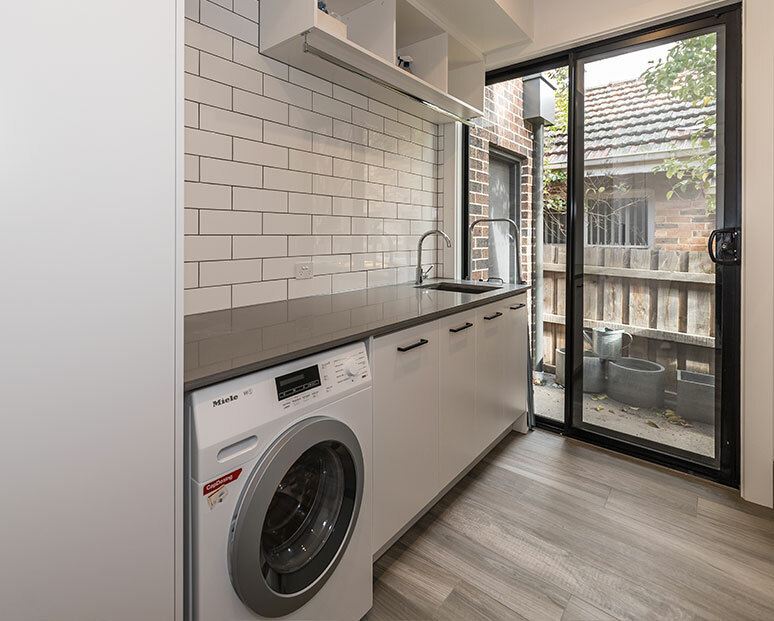 Our kitchen renovations for Tullamarine closely follow trends in kitchen design and can advise customers on how to get the best out of their kitchen spaces and achieve a design that will impress the guests! 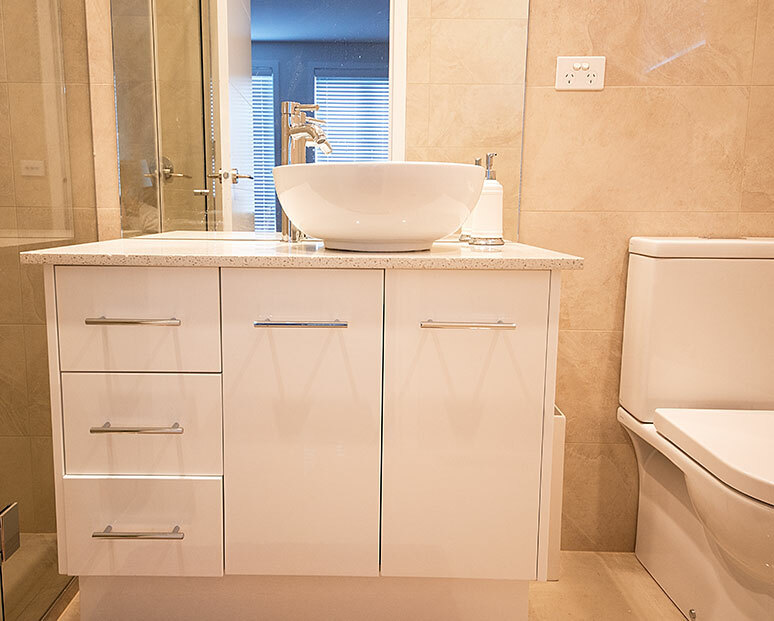 Our cabinet makers’ work comes with a quality guarantee. It is simple unbeatable in the industry. Unfortunately, there are too many rip-offs in the modern building industry, cheaply-made cabinets, not fit-for-purpose, but made only with a dollar sign in mind. We’re motivated by the beauty of the craft, not by greed. 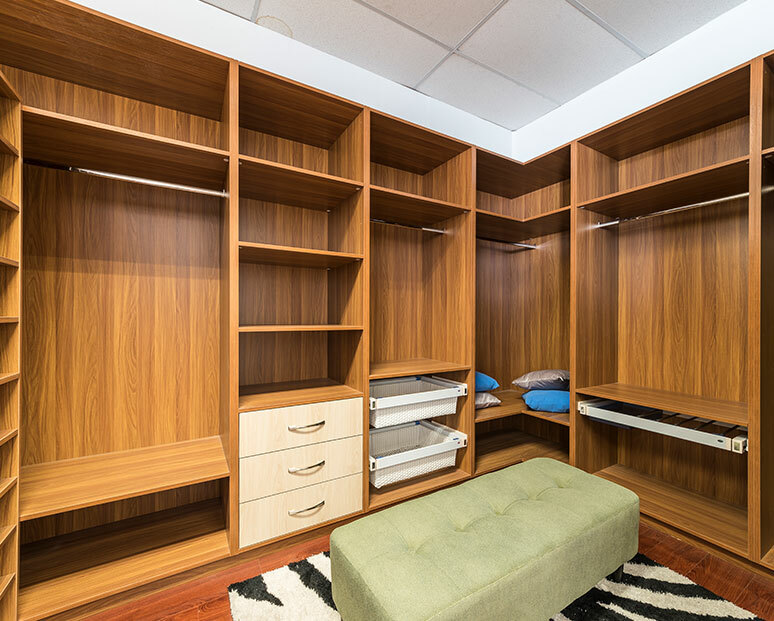 Our cabinet makers treat their work as a vocation. They therefore represent that best of old-style kitchen cabinet making, blended with an openness to modern design innovations. Our cabinet makers understand that the modern kitchen exists under a unique set of demands, including dining and entertaining. Many older kitchens were not built with this multipurpose quality in mind. For a cabinet maker that understands, get an instant classic with Kitchen Classics. Copyright © 2019 Kitchen Classics. All Rights Reserved.